The Stanly County 4-H would like to ask for your support in reaching youth across Stanly County with quality programming and opportunities for personal development, leadership, and life skills. 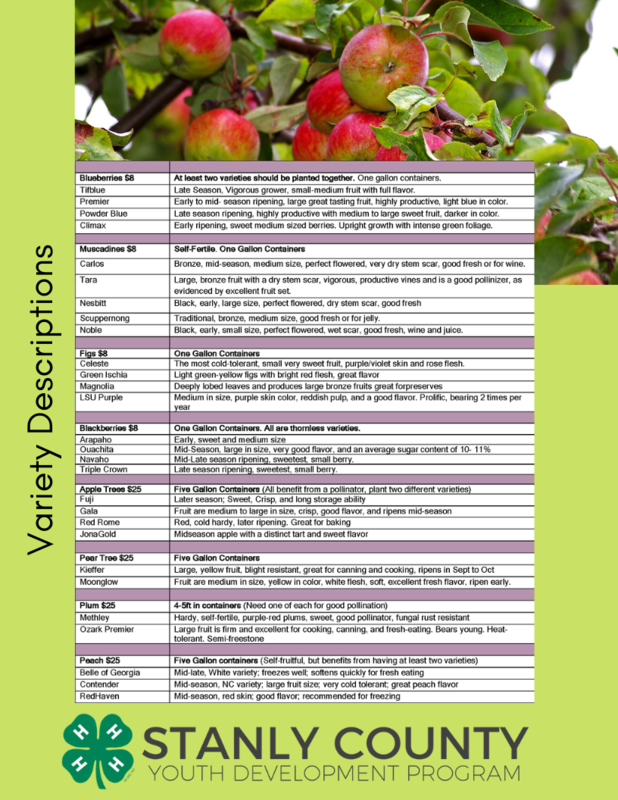 Please consider purchasing from our 2019 Plant Sale, where all proceeds go directly towards making certain ALL youth can afford the opportunity to participate in 4-H activities including clubs, camps, and competition. 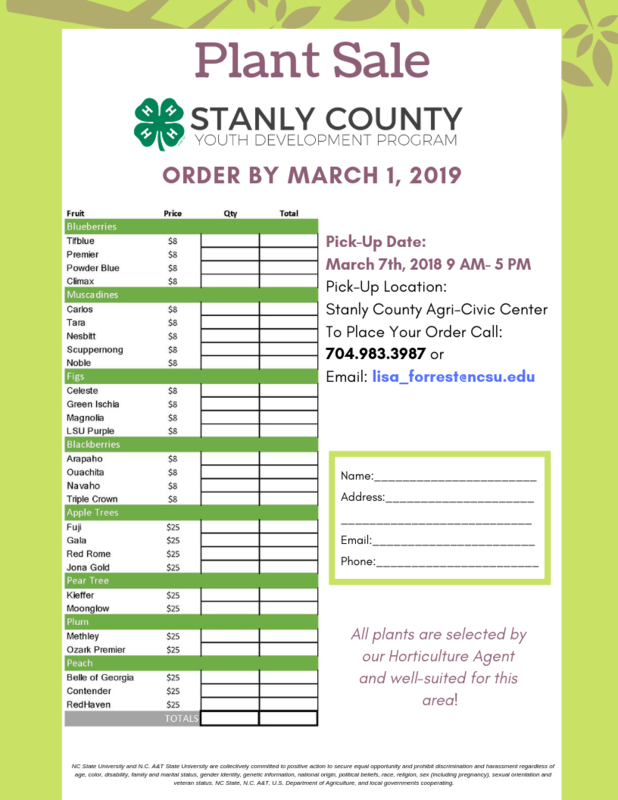 Pick-up date: March 7, 2019, at the Stanly County Agri-Civic Center. To place an order, call 704-983-3978 or email lisa_forrest@ncsu.edu.